Berlin is a great place for drinking as it offers numerous options for everyone’s mood. From pubs, beer gardens, DJ bars, hotel lounges etc. you won’t have a problem choosing a place where to go. There are way more underground and alternative venues in the East and here I’ll list seven bars in Berlin worth checking out. Beer is of course the most popular drink and there are many varieties from draught beer (fassbier), wheat beer (weizenbier), black beer (schwarzbier) and seasonal beer (bock). Other popular drinks are sekt (German sparkling wine), cocktails and wine. Germans love to drink weinschorle (wine with fizzy water). There’s also saftschorle (fizzy water and juice only) as an alternative. Berlin is a city famous for its beer gardens and Eschenbräu located in the Wedding area is a great place to visit if you want to taste different kinds of German beer. 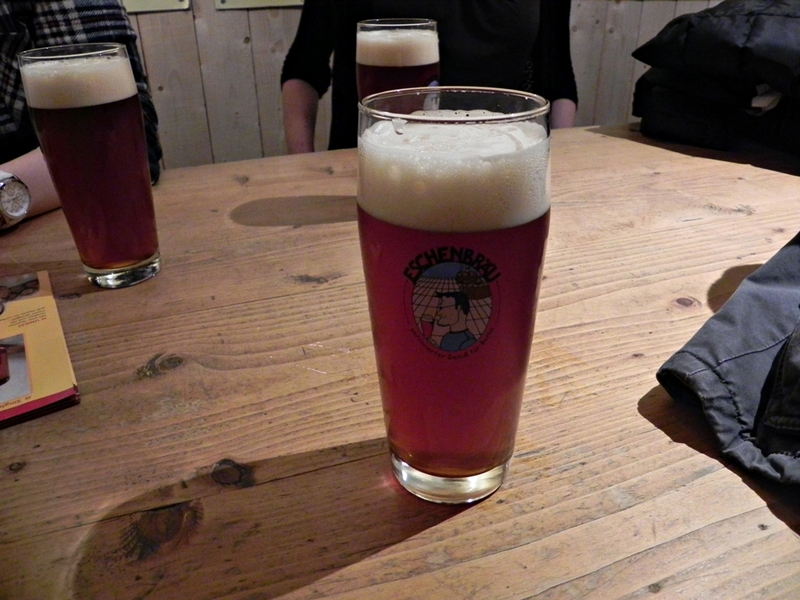 Their own brewery produces 21 types of seasonal beer so you can try Rauchbier (smoked beer) or Black Mamba for instance. If you don’t really like experimenting you can always opt for classics such as Eschenbräu PILS, DARK or WHEAT beer. On a nice day you can sit in the garden which has 200 seats but the interior is also very interesting and is filled with the paintings depicting the entire process of brewing beer. The atmosphere is friendly and lively and it is worth going to Wedding for this place. In 2011 three American friends decided to create their own brewery so Vagabund was born. 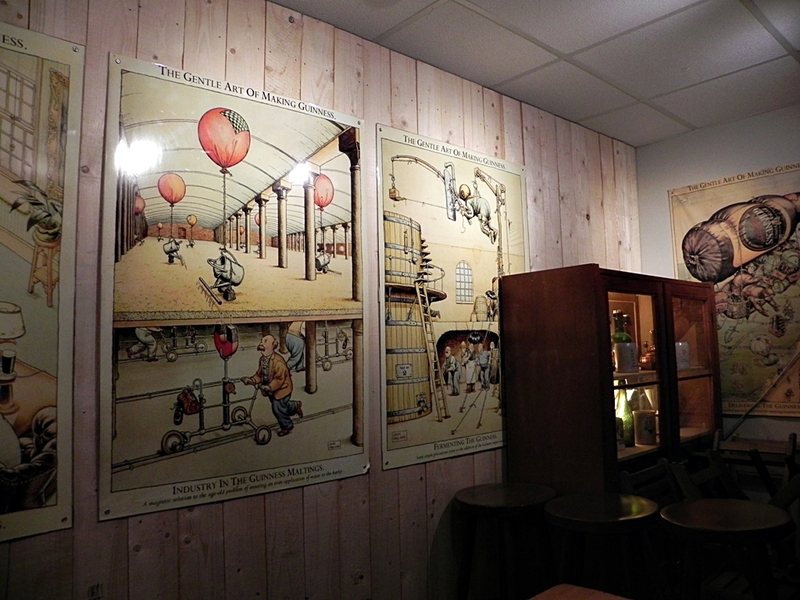 The bar is small but artsy and interior is filled with wooden chairs and tables and beer related posters on white walls. “In wine there is wisdom. In beer there is freedom. In water there is bacteria. – Benjamin Franklin” says one. 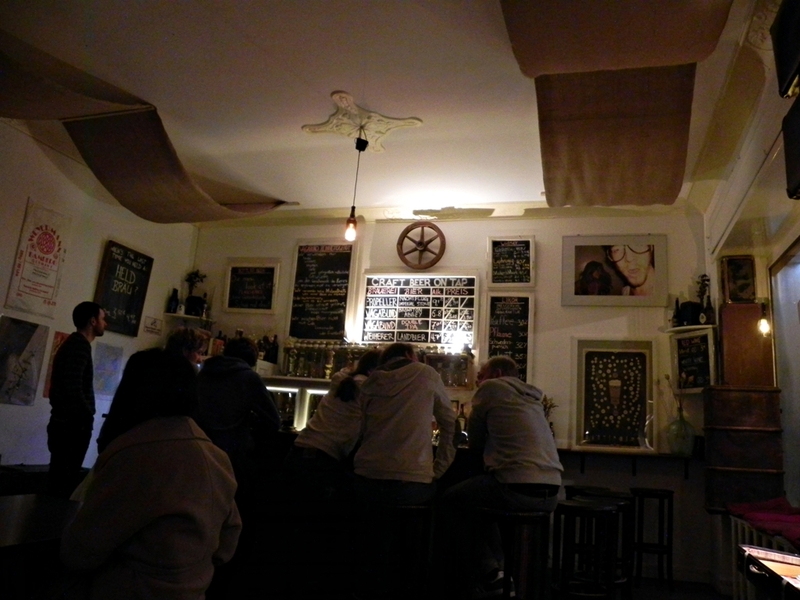 There’s a great selection of craft beers, the staff is really nice and helpful and the atmosphere certainly makes you feel that you’re in Berlin. An interesting fact is that this place is Europe’s first crowd-funded brewery. Oh and it’s known for its pumpkin spice ale in the fall! If you love wine go to Weinerei. During the day people usually meet here to talk and the atmosphere is pretty much relaxed. There are several types of wine on offer but also coffees, teas and a vegetarian lunch menu. The place has an interesting concept at night. Basically you pay 2 euros to borrow a glass and then you try whatever food or wine you like. It works on ‘pay as you want” model. The place can get crowded at night so making a reservation is a good idea. 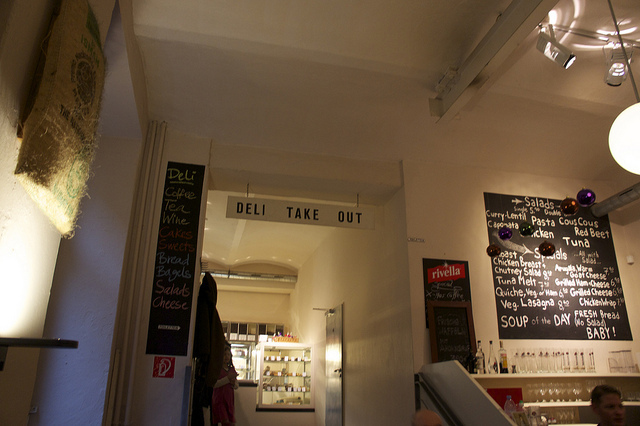 Weinerei also has a great vintage interior, but the only downside in my opinion is that the staff seemed bit unfriendly. But all in all it’s an interesting place to visit! This former brothel in Kreuzberg can literally turn your world upside down! 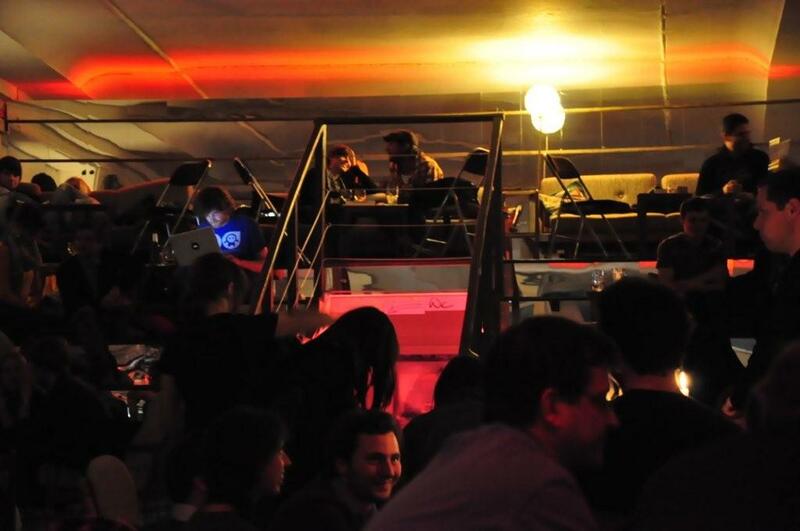 Madame Claude is an upside down bar that hosts concerts and events starting from 7pm each day. 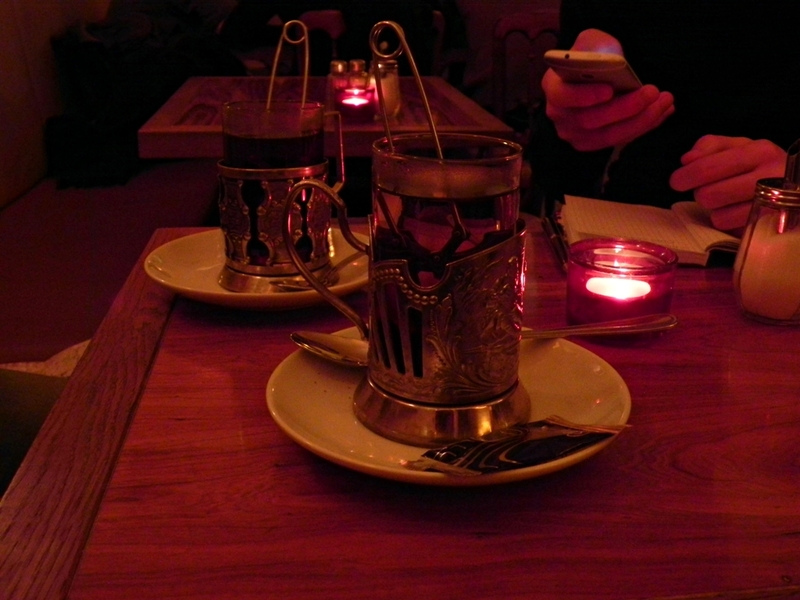 It’s one of the hipster-ish places in Berlin and a great place to visit before going to the clubs. The interior is really cool and there are pieces of furniture stuck upside down to the ceiling. The concert hall is tiny but Madame Claude is a perfect place to chill, listen to the music and have fun. Come here for the real Berlin feel! Mein Haus Am See has a second-hand couches scattered all over the place and interesting wall decor. It’s very popular among hipsters and freelancers who come here to listen to the good music and to socialize. At night the place can get crowded so it might be difficult to get a couch but you can grab a cushion, sit on the stairs and do some people watching which seems like a favorite activity here. There’s an interesting selection of drinks and live music almost every night. Perfectly fits the Berlin mood. THE UNKNOWN at Mein Haus am See (Every Tuesday) from THE UNKNOWN on Vimeo. Gorki Park is a Russian-run cafe/bar in Mitte. 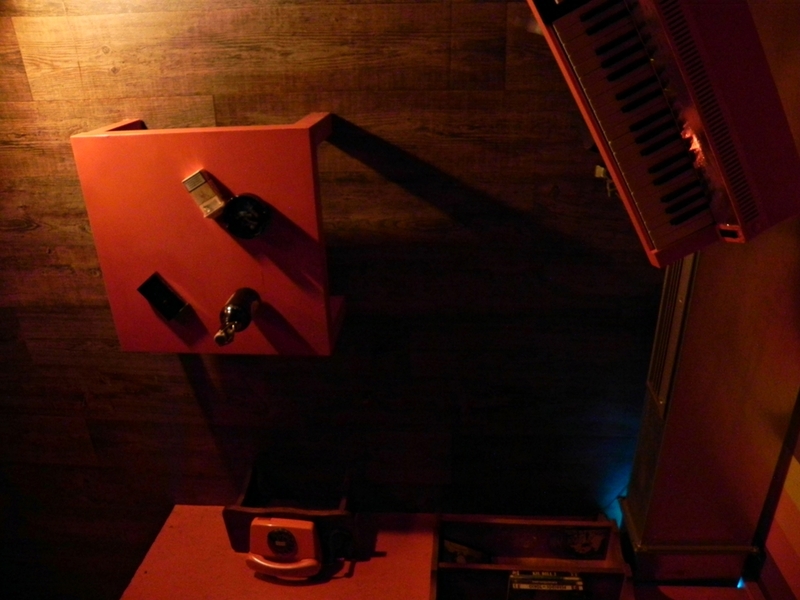 It’s very friendly and cosy with the decor that reminds of the Soviet era. You’ll find lamps, funky wallpapers, furniture pieces and more. The food menu is rich and there’s a great selection of Russian beers. This place is particularly famous for its breakfast menu. So if you are looking for something unusual and different in Berlin go to Gorki Park. 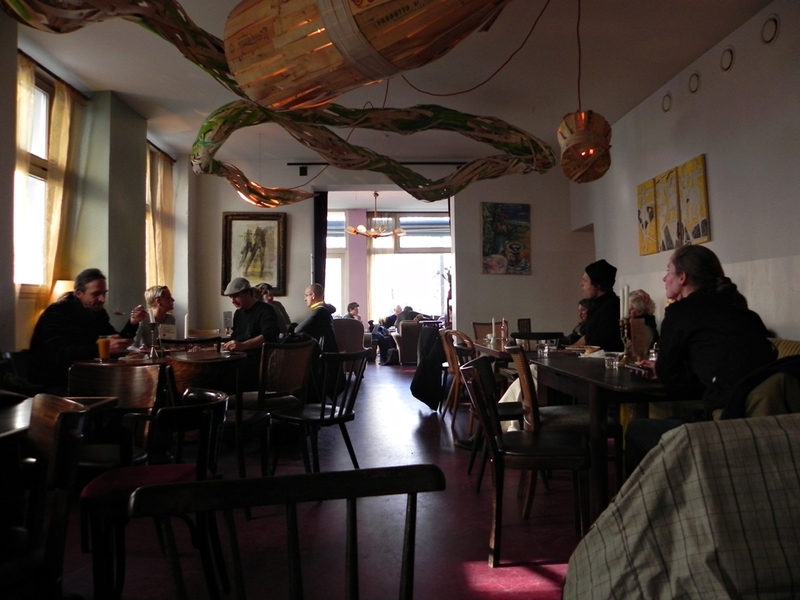 Barcomi is actually more of a cafe than a bar with two venues in Berlin. It’s a great place to relax with a cup of coffee and it also has a rich choice of sandwiches and cakes. The place can get really busy but it has that local feel so it’s worth squeezing yourself in. I especially recommend these places if you are a first time visitor to Berlin. What are your favorite bars in the city? If you have any recommendations feel free to leave them in the comments section below. With its enviable geographic location, diverse landscape and wide range of climates, Cyprus has both the resources and the heritage to produce one of the most fresh, fragrant and dynamic cuisines in the world. Its position in the Mediterranean has brought a range of culinary influences to its shores, principally from Greece, but also from Turkey and the Middle East, though the people of Cyprus also continue to use traditional and entirely indigenous recipes today. This showcase of punchy Cypriot flavours is best enjoyed in the evening with a large glass of chilled local wine, and in good company. 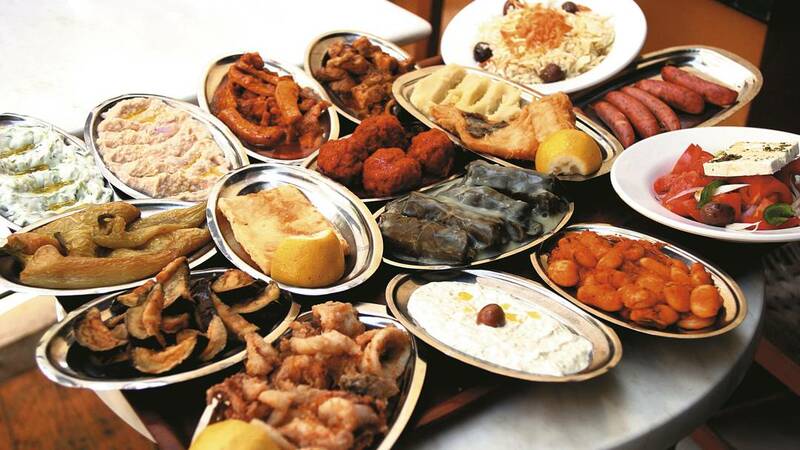 A selection of dishes might incorporate Koupepia (stuffed vine leaves), fried octopus or squid, talattouri (like the Turkish Cacik, a yoghurt, mint and cucumber dip), olives, hummus and lamb, with plenty of warmed pitta bread for dipping. For a sweet little treat, this nut brittle is ubiquitous, and can be found in most supermarkets and grocery stores. Simply made from the honey of the Carob tree with peanuts, almonds and sesame seeds, it’s the perfect souvenir to bring a taste of Cyprus home to nibble on. This native cheese is made from a mixture of sheep and goat’s milk, and has a similar appearance to mozzarella, but is saltier. Enjoy in a simple salad, or grilled as part of a kebab, and bring some new recipes home with which to delight your vegetarian friends. Similarly to the Turkish tradition of serving coffee, Cypriot coffee is brewed in a small pot, and sugar is added to the mix before heating. Once vigorously boiled, a froth appears on the top, and the final product is served with a glass of water, for cleansing the palate in anticipation of flavour fireworks. 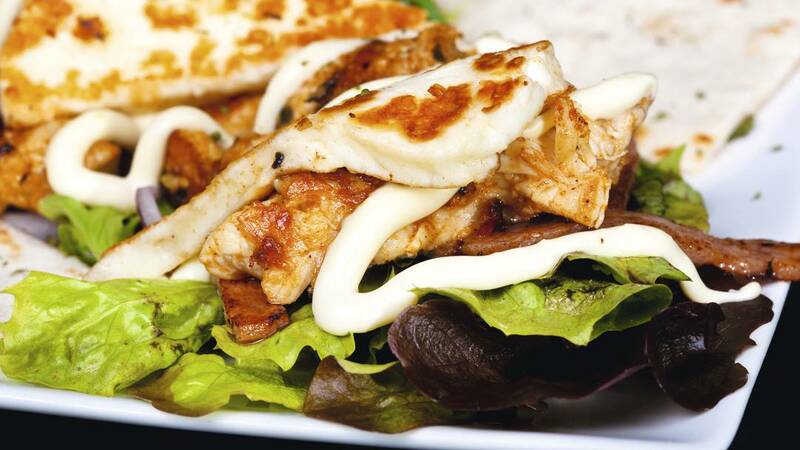 A delicious snack, this grilled fast food originating in Greece is simply skewered shards of meat, usually pork, served in warmed pitta bread with tomato and cucumber salad. The ultimate appetite appeaser, souvlaki can be bought almost everywhere in Cyprus. As one of the most seasoned winemaking countries in the world, it is thought that wine has been produced on Cyprus for over 6000 years. The island has four traditional wineries, Etko, Keo, Loel and Sodap, as well as an insurgence of youthful little upstart businesses speckling about its hills in the past 20 years. When in Cyprus, visitors should sample the Commandaria, a sweet, amber-hued tipple made from native grape varieties. It is the oldest wine still in production. The republic of Cyprus has two international airports – Larnaka and Pafos with a many direct flights to and from UK, and although many tourist use cheap, no frills airlines to get there, you can opt for a package holidays to avoid the hassle. Hungry yet? From savouries, to sweets to refreshing wines and indulgent coffees, Cyprus is the place to treat the senses. Bon Voyage! Any other dishes you would add? The first vitamin bar in the city will attract you with its fresh squeezed juices, smoothies and milk shakes of unusual and exotic flavours. Besides fresh fruits and vegetables, the bright interior and friendly staff will make you feel cozy and relaxed. Besides the existing menu you can even opt to make your own combination. You can enjoy your drink in the bar or ask for the take away, but either way this is a great place for a successful start of the day! The Black Turtle represents a chain of pubs with four pubs in the city center and a mini-brewery established in 2000. These pubs are mostly famous for its beer. Besides local brands of beer, you can try even the seasonal beers and the beer with fruit flavors that make these pubs unique in the city. There are beers flavoured with blueberry, lemon and strawberry and I recommend you go for blueberry one. 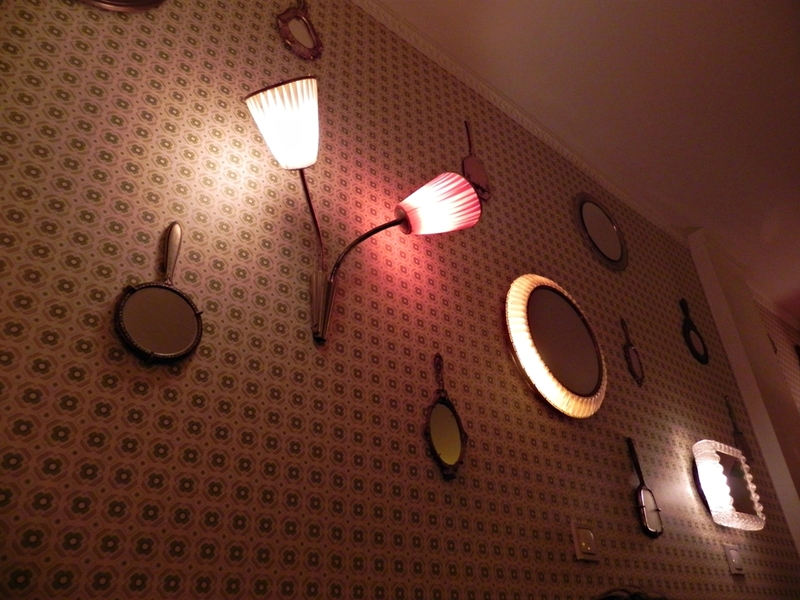 The most unusual bar in Belgrade filled with lots of interesting pictures, lamps, curtains and books. Pieces of old furniture brought by the guests make this place unique. The Association also organizes parties and celebrations, film projections, literal and travel lectures etc. Highly recommended! Small and cozy café with relaxed atmosphere and good music. The bar offers live music, mostly jazz and ethnic compositions but also DJ performances. The bar serves cocktails and wine, but their homemade brandy is one of the best in Belgrade. A big plus is a very friendly staff. If you want to try real Turkish coffee with lokum go to this place. Oriental interior design makes this place interesting and different to other bars in Belgrade, and it offers a very relaxed atmosphere and music. Kandahar is well-known for its wide choice of teas and tobacco but also Turkish Yeni Raki. Located on the banks of the Sava River this place organizes various events (from conferences, book launches, film screenings to music programmes). Its Steve Austen café bar is located on the ground floor. The building was an old warehouse built in 1884. and today it’s a great place for a night out, with the cool interior and decent music! The first Irish pub in Belgrade offers well-known Guinness, domestic beers and some cool cocktails. The atmosphere is very cozy and the pub offers live music from time to time. It’s a great place to come and watch a football game or simply warm up for the night out! Located on the Sava River, this club provides a unique view of the Old Town. From an old ship it became a big club consisting of two parts, while during the day it serves as a bar. It is famous for its mainstream music, funk, reggae, drum and bass etc. One of the coolest places in Belgrade! Famous for its FWJ (Food, Wine & Jazz) concept, Iguana is an elegant place with a great view! The menu here is small and bit overpriced, but its balcony is a great place to have a beer or two and watch the locals stroll by. Come here to enjoy the wonderful view of the river and jazz music. Are there any bars that you would recommend? Feel free to leave your comments below.